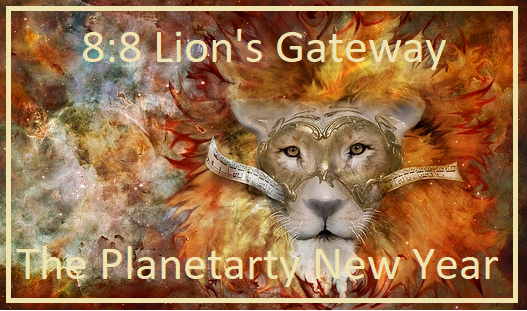 As we aligned with the Greater Central Sun and the Sirian Lion's Gateway, we were gifted many Sirian Light Codes and messages in the Sirian Language of Sound. It sounds like a whistling but is a Light Language. We received Encodement Keys to every Chakra to align with the New Pathways opening up for us. We received some messages in the Language of Thoth and His Divine Counterpart Seshat. These messages are in the Ancient Language of Light and embed frequencies of Light that penetrate us at the deeper levels of the DNA and enable healing through all levels of consciousness. We received alignments to the 33rd Dimensional God Code and the Infinity Codes that are streamed to us through the Star System Sirius, Sirius A and Sirius B. We aligned with the Lion People and the Feline People of Sirius. The Meditation is mostly sounds and Keys and Codes that awaken you to see with the Third Eye and enable your own journey to take place. A very powerful Process that you can use at any time of the year when you are wishing to reconnect and embody these higher frequencies and Light Codes. Align with the Code Frequencies of Leo constellation sent to us during a connection between the star Sirius, the Great Central Sun, Earth’s sun, Earth’s grid point, Orien’s Belt, and the the Great Pyramid of Giza. Are you ready for the New Light Codes bringing new levels of consciousness and Higher Awakening? Align with the Creation of Manifestation, As above So Below, The Portal of Unconditional Love and Abundance. New Light Codes anchoring more of our Heavenly Selves. You will receive your Recorded Video meditation when Payment is Received . $17AUD just register now and you will be directed to the payment page. I carry the Gift of being able to transmit the Keys and Codes of Ascension from the Star System Sirius and hold the Sacred Sound Keys of Thoth/Hermes/Enoch. My work is my sharing of these Gifts with you.